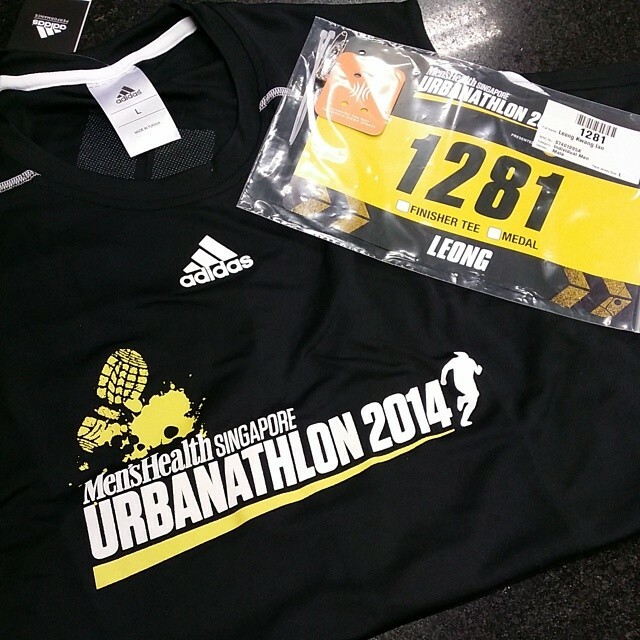 14km run and 9 obstacles. Really excited to see how the route is gonna be like tomorrow. So just a run thru for myself on the 9 obstacle before tomorrow race! MYSTERY OBSTACLE For the 1st time ever! Test your five senses like no other race can. By keeping you in the dark, we promise this to be a challenge you’ll remember! This is the tricky one as i dont know what it is gonna be, but i love surprises so it better be a tough one ! Pull yourself over 1.5m high cement pipes. Pick up speed as you approach the first cement pipe (with diameter of 1.2m). Jump and pull yourself over the top of the pipe. Hop off the pipe and continue to hoist yourself over the 2nd cement pipe (with diameter of 1.5m), with the help of a low platform. If you are unsuccessful in your first attempt, you are required to make another attempt at the RETRY queue. If you fail in your re-attempt, 5 minutes will be added to your final timing as a penalty, and you will be allowed to continue with the course. this should be easy as we always need to clear the low wall in the army! Balance yourself across 2-inch wide beams. Steady yourself and step onto the balancing beam. Start off with the sloping 2-inch beam and jump across to the next set of broader beams. Balance yourself to step up and across to the next set of beams. Jump off over the cone at the end of the beams to clear this obstacle. needless to say we are all so familiar with this, we did a even higher one in army SOC! Put your flexibility to the test by working your way through the maze of bungee cords tied across this 4m long structure. Bend, dodge and duck through the web. Crawling on all fours on the ground is not allowed. This can be a little tricky, hopefully the hole between the ropes is bigger, if we trip on this it is not gonna be fun anymore! Pull yourself up using the rope on this 3m high sloping structure. After reaching the top, descend using the wooden blocks on the other side of the structure. Ascend and conquer the next 3m high slope with the rock-climbing grips. Slide down the other side of the structure. Sliding down to victory always seems like a fun thing! Carry a 20kg sandbag and run 100m. Pick up a wet 20kg sandbag from the water trough. Carry it and run a distance of 50m forward and 50m back to your start point. Place the sandbag back into the water trough. Wet sandbag could add on additional weight to the 20kg, this might not be as easy as it seems. putting it on one side of the shoulder should make the whole 100m run easier. Climb up the 2m high tower. Approach the end of the platform. Walk with care and do not run! Aim for the pole that is 1.2m away and leap off. Stretch out to grab it if you can. Hang on to the pole and lower yourself onto the crash mats. I think i am gonna jump straight down for this! Make your way across a pair of 6m-long parallel bars using your hands. Manoeuvre down a second set of parallel bars, with your hands on one bar and feet on the other. walking with the parallel bar could be a killer for most, but there is a technique to it, try swing your body from left to right as you move and let the momentum carry you over! Get on all fours to climb up the rope web. When you get to the top of the truck, turn around and descend the rope web on the other side feet first. Avoid getting your limbs trapped in the net as it will slow down your progress. hopefully i dont get stuck on this! after all the running, for this obstacle. take it slow. Seems like this year they remove the mud water obstacle which is great in my opinion. Anyway have a good run everyone, take it slow and remember to use your foam roller to warm up your muscles to get more flexibility during the obstacle tomorrow. Proper stretching is a must and remember to stay hydrated by drinking lots of water tonight! See you all tomorrow!